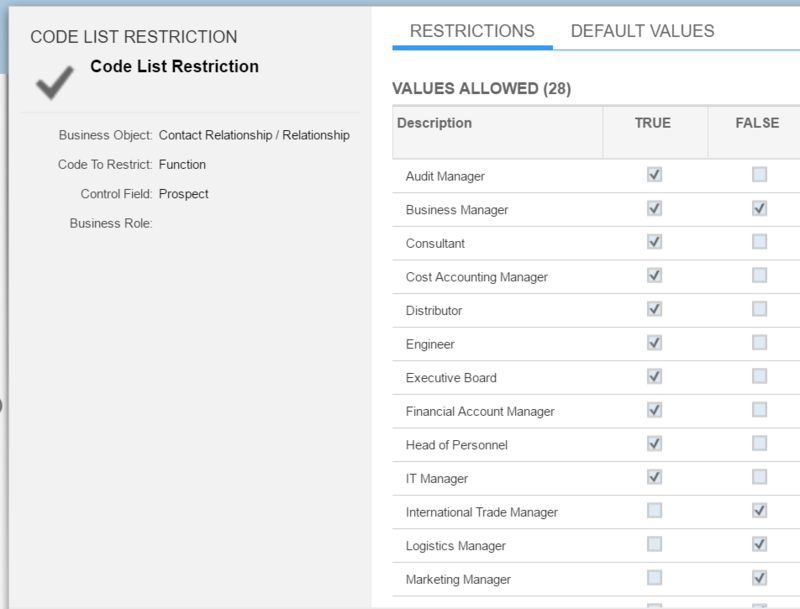 Customer has requirement that code list for field Function in Contact creation page should be restricted based on the role code in Account TI. 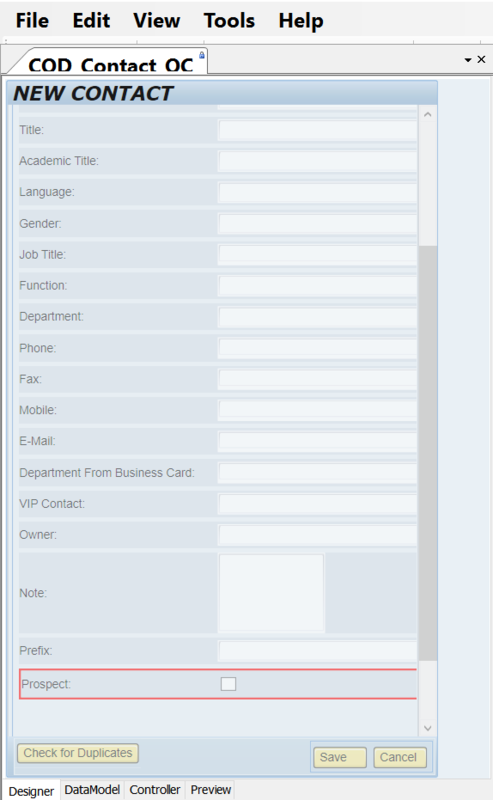 In this case it is not possible to use the RoleCode field to control the Function field. 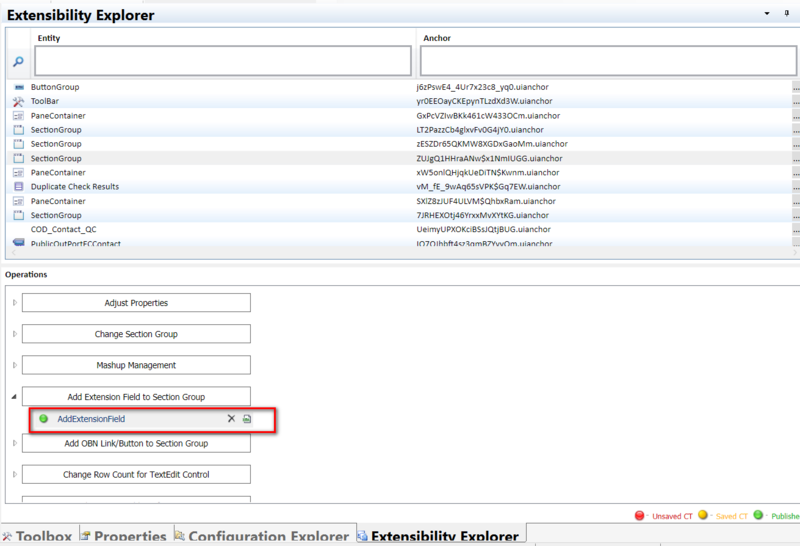 Fortunately besides Business Field, it is supported to use an extension field to perform CLR( Code List Restriction ) as well. 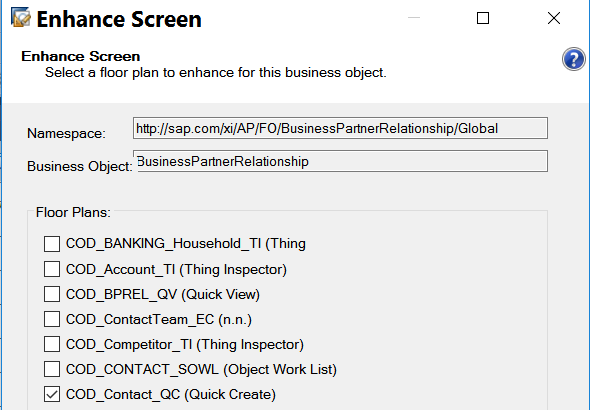 And it works in the runtime: in contact creation page, only a subset of specified entries in CLR maintenance UI is displayed.